Due to frequently updated drivers, please download the latest version on our official website to enhance your using experience. - If your PC's power supply unit only has free 4pin Molex plugs left, please use the enclosed 4pin Molex to SATA converter to power the card.Please make sure the power cable strand colours match each other when connecting to the power augmentation, as to avoid faulty currents. 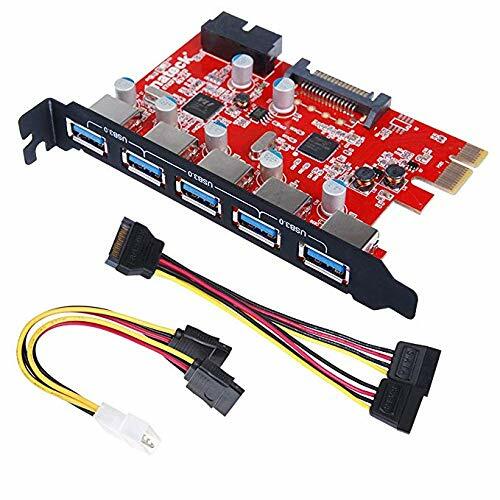 - To ensure the PCI Express Card works properly, please first connect the PCI Express Card to your PC's power supply. - Aggregate transfer speed up to 500 MB/s (500 MB/s in total for the whole). For Oculus Rift users, it is recommended to purchase two PCI-E cards for multiple sensors. - This PCI-E card is not recommended to Kinect 2 users.